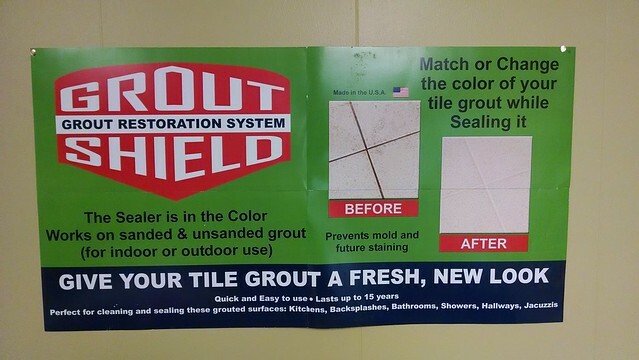 Home/Grout Shield/Need new floors? Think again! You Need To Seal That Floor … Not Replace it!!! It’s the worst when you walk into your bathroom or kitchen and the grout in between your tiles is looking stained or discolored. Replacing tile can be costly, but there is another way. You can find other products that will allow you to change the grout without a lot of work. Grout Shield distributors make’s a Grout stain that is one such product that will give you the opportunity to change the existing color for your grout without requiring an extensive amount of work. Want to give your grout a pop of color? Grout Shield Has an extremely large selection of colors that may suit your needs. Even if you just want to color match your existing grout, you can locate several viable options. It is best to know what colors the companies can offer you, so you can find the right product for your home. Grout Shield has many different color pallets to choose from and will always have the basic colors that most grout will be. If these colors are not to your liking, you can find ones that offer more bold colors such as deep blues, shades of red and even a variety of green grout stains. Therefore, if you want to change the existing grout for your home, you should look into the different colors you can find for grout stain online. All you have to do is call the 1-800-631-0716 and the owner will answer the pnone.